So, here we are again. The start of a new Premier League season. 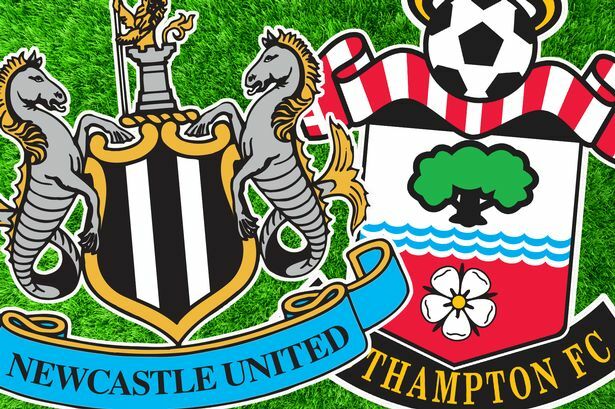 After last year’s flirtation with relegation that cumulated in a dramatic final day victory over West Ham, Toon fans will be hoping for a much improved showing this time around. United’s three newest recruits certainly suggest brighter days could be on the horizon – Georginio Wijnaldum, Aleksandar Mitrovic and Chancel Mbemba all arriving on Tyneside with glowing reputations. However, there’s still a lingering feeling that more work needs to be done. The squad appears to be a central defender and a striker short – and you could make a strong case for another winger too. They welcome a Southampton side who have the added benefit of already being involved in competitive action – securing a comfortable 5-0 aggregate win over Vitesse in the Europa League earlier this week. Possessing one of the most innovative managers in the league in the shape of Ronald Koeman, many are predicting another strong season from the Saints, who were very much one of the surprise packages of the 2014/15 campaign. United’s main concern revolves around captain Fabricio Coloccini, who failed to manage a single minute of pre-season football due to an apparent ongoing Achilles problem. There are also doubts surrounding midfielders Cheick Tiote and Remy Cabella, who both took part in the open training session at St James’ Park on Tuesday but are lacking match fitness. Elsewhere, defender Paul Dummett is still a few weeks away due to a hamstring strain and forgotten man Sylvain Marveaux misses out with a hernia problem. Koeman could hand QPR loanee Steven Caulker his second start in a week after the defender made his debut in the Europa League on Thursday. However, the Saints boss will be missing due to him requiring an Achilles tendon operation, meaning assistant (and brother) Erwin Koeman should take over dugout duties. Summer arrival Jordy Clasie (hamstring) is a major doubt while forward Jay Rodriguez will sit out the start of the season having just recovered from a serious cruciate knee injury. Steve McClaren has favoured a 4-2-3-1 formation in pre-season, with Papiss Cisse spearheading the attack and Wijnaldum as the number 10. He does have some interesting selections to make in the forward areas and could partner Mitrovic upfront with Cisse, whilst it remains to be seen if Siem de Jong and Wijnaldum can work effectively in the same team. Should Coloccini miss out, Steven Taylor and Mike Williamson are expected to start in central defence, with new signing Mbemba likely to feature on the bench. Koeman tends to vary his tactical approach depending on the opponent, but is predicted to field either a 4-3-3 or 4-2-3-1. This may also depend on the personnel available after the squad has been assessed following their European exertions. Graziano Pelle looks set to lead the line – fresh from his goal on Thursday – with Sadio Mane supporting him. Elsewhere, Kelvin Davis will be hoping to wrestle the number one jersey away from loanee Maarten Stekelenburg. Southampton have always fared well against United since their promotion three years ago. A 4-2 win at St James’ Park in 2012 – where Cisse scored an outrageous dipping volley – has been as good as it’s got for the Magpies at home, with the other two meetings ending in a draw and a win for Southampton. The trips down to the South Coast however only serve to bring up painful memories for Toon supporters, with back-to-back 4-0 hammerings still all too fresh in the memory. With the added firepower and a boisterous home crowd, you would expect United to cause Southampton plenty of problems going forward. Wijnaldum looks like he has a keen eye for goal while Mitrovic’s physical playing style suggests he can hit the ground running this season. However, there still remains huge doubts defensively, with an alarming amount of goals conceded in pre-season to largely inferior opposition barring Borussia Monchengladbach. For that reason, expect goals at both ends of the pitch.